Cannabis is one of many known entheogens; plants with psychoactive properties which are used for spiritual or religious purposes. The use of these plant medicines is older than recorded history, and can be found in cultures around the world. To this day, ayahuasca (the “spirit vine”) is still used by the shamans of South America, the peyote cactus is used by native tribes in Mexico and the southwestern United States, and perhaps most famous of all is the Rastafarian movement in Jamaica, whose members use ganja as an aid to prayer, contemplation and communion with Jah. In fact the sacred use of marijuana is an ancient and widespread tradition. There are passages in the Hindu Vedas, the Zend-Avesta, and the sutras of Tantric Buddhism which extoll the virtues of the hemp plant, and it’s ability to purify the heart, ward off evil, and facilitate visionary states. For more than a thousand years, cannabis has been used as a sacrament by the people of the Mediterranean, the Middle East, Africa, China, Tibet, India and Nepal. The beat generation of the 1950’s and the subsequent hippie movement brought this practice to the West in a big way. Cannabis, psychedelics, and mysticism permeated popular music and culture for a brief, golden moment, before fading back into the underground. But it left enough of an impression (the New Age movement) that as a teenager coming of age in the late 90’s, I was very much aware of the relationship between weed and spirituality, and the idea of getting high to expand the mind. And like many a curious youth, I just had to see for myself. I studied the work of Michael Harner, Ram Dass, Tim Leary, Stanislov Grof, Alan Watts and Aldous Huxley. I spent countless hours sitting in a cloud of sweet smelling smoke, reading, thinking, dreaming and drifting off into cosmic reveries. 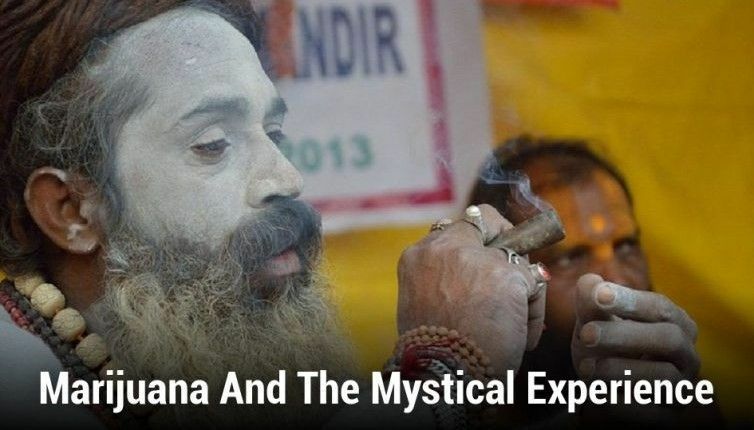 And using marijuana, music, chanting and meditation, I began exploring altered states of consciousness, and the perennial philosophy of mysticism. The mystical view of reality holds that consciousness is not an epiphenomenon, a by-product of our brain matter, but that it is actually the fundamental ground of being. The universe, apparently composed of atoms and matter, is actually more like a hologram – or a dream – in some primordial, infinite, inconceivable Mind. It may sound far out, like a movie cliché, but this philosophy has been embraced by many of history’s greatest thinkers (Emerson, Jung, Gandhi, Krishnamurti). The mystical experience is simply a shift in your state of mind that changes the way you experience reality. It involves “unlearning” our most basic assumptions; shedding layer after layer of conditioning – from our media, culture and upbringing – until we cease to see ourselves as an isolated ego, separate from the world around us, and become aware of our connection to the ecosystems and the energy fields of the earth. The mystic ultimately seeks experiential union with the one mind, or God. In many spiritual traditions, this shift in consciousness is brought about – often after long years of training – using breathing exercises and other disciplines. I discovered, like the ancient shamans before me, that entheogens offer a more direct path; a way to part the veil and enter altered states of consciousness without years of rigorous meditation and yogic practice. 1. Moderation. Excessive use causes the body to develop tolerance, and is not conducive to reaching mystical states. A small dose is sufficient to make the shift from “normal, waking consciousness” into a state of heightened awareness, creativity and abstract thinking. Smoking too much can cause dullness and lethargy. Daily, habitual, recreational use is discouraged. 2. Reverence. The plant is to be treated as a sacrament, not a party drug, and used accordingly. It should be approached with great respect, devotion and clarity of purpose. Each time the herb is used, it should be with the intention of seeking wisdom, and gaining a better understanding of yourself, your purpose in life, and your place in the universe. 3. Ceremony. It is helpful to establish a ritual for preparing and smoking the herb. This doesn’t have to be anything elaborate. Something as simple as saying a prayer, or lighting a candle or a stick of incense can help set the proper mood and tone. Reading sacred poetry, inspiring literature or spiritual teachings can also be an excellent way to guide your meditations in the right direction. 4. Atmosphere. Where you smoke, and under what circumstances, goes a long way toward determining the quality of your experience. Only use marijuana in a setting where you feel safe and comfortable – to do otherwise can cause severe anxiety, paranoia and even panic attacks. The idea is to achieve a state of deep relaxation, so it is best to choose a place as free from chaos and distraction as possible. In my experience, Mother Nature provides the perfect setting for cannabis use. Find a quiet spot in the woods, away from the busyness and noise of the city. Let your senses feast upon the sunlight, the wind, the singing of the birds and insects. Feel yourself a part of the whole web of life. 5. Ambiance. The heightened sensitivity of the cannabis high makes us unusually susceptible to outside influences – including music, TV and other media. One must be selective about what to watch or listen to. Chanting and other devotional music is highly conducive to the religious experience. Classical music, jazz, drumming, electronic trance, and many other types of music can be highly effective, too. The key is to be mindful of how it makes you feel, and how it shapes your experience. Perhaps the most profound ambiance of all is to turn off the music, the devices and distractions, and just enjoy some peace and quiet. Listen to the subtle, organic noises become magnified until they fill the silence. 6. Solitude. Although it is often known as a “social drug,” when using marijuana for spiritual purposes it is most effective to smoke alone. This eliminates distracting conversation and social pressure, and allows you to simply relax into a meditative state. Occasionally, it can be of benefit to smoke with a small, intimate group of friends who share your intentions. You can chant and pray together, discuss your insights and experiences with other, or sit in silent group meditation. Using marijuana in the right set and setting can help open the doorway to mystical experience. However, to integrate these revelations into your daily life requires practice. It is highly recommended that cannabis be used as an occasional aid and supplement to your studies and meditations, and not relied upon exclusively. 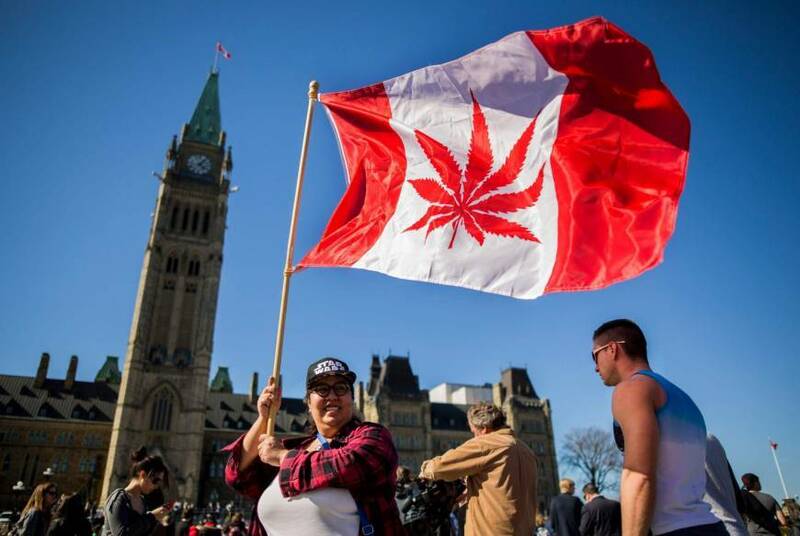 A word of caution: some people seem to be biologically incompatible with cannabis. For them, the high is often frightening, nauseating, or just an all around drag. If you are one of these, then obviously this practice is not for you. But for many, the right use of the herb can be a tremendous aid in the search for inner peace and spiritual wisdom.